Into the Amazon -- An Adventure Awaits! Into the Amazon: An Adventure Awaits! 12 Jul Into the Amazon: An Adventure Awaits! Saludos desde Peru! Greetings from Peru! Round 2 of Operation Groundswell’s summer programs in Peru — aptly named Amazon Adventure — has begun and we have wasted no time making ourselves at home in the coastal capital! Busying ourselves with Spanish classes, a bike tour along the ocean, and a visit to the shantytown of Pachacutec, we have seen some of the many faces of the city in just three days! It may sound unoriginal–even a bit cheesy perhaps–but we have become like a family in the past four days. With people from Mexico, India, Sri Lanka, the UK, Canada, and the United States, we are discovering more about not just Peru, but places all over the world. Today, day four of our six-week long journey, we embark on a 32-hour bus ride to the port town of Yurimaguas. 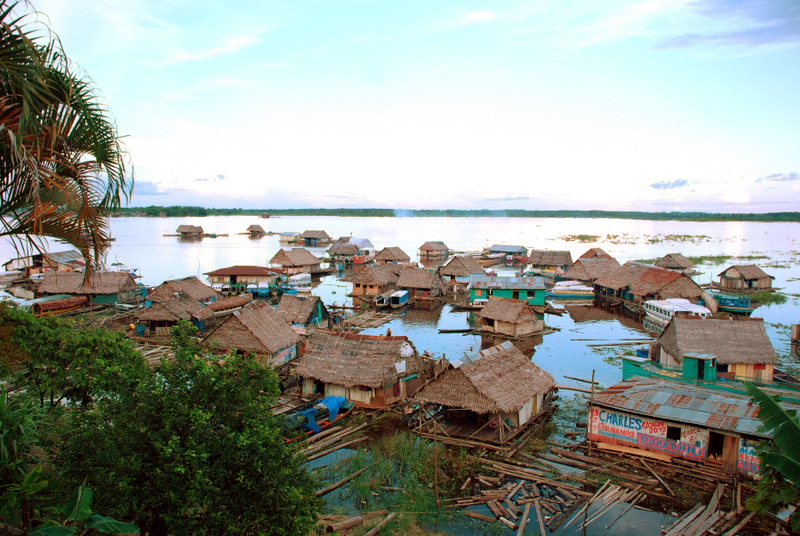 We arrive tomorrow evening for a night in the bustling little jungle town before catching a three day ferry ride down the Amazon to Iquitos, which, by the way, is the largest city in the world not accessible by roads! Ojala (God-willing, as they say here) we will reach the city on Tuesday!